The houses sit on the outskirts of the port of Jaffa, that most ancient of cities rising like a terraced pyramid over the Mediterranean Sea. By Jaffa standards, the dwellings are practically new — just 150 years old — but that’s not what turns heads. It’s that they’re made of wood, an uncommon building material in Israel, where the old structures are stone and the new ones are concrete and few have such steeply pitched roofs. M.T.W. is Mark T. Wentworth, 34, of Surry, who on August 11, 1866, went down to the remote fishing village of Jonesport and loaded the labeled and pre-cut parts of his new house onto the lower deck of the barque Nellie Chapin. Then Wentworth, his 30-year-old wife, Adelaide, and their four children — Fanny, 5; Clinton, 4; Mark DeWitt, 2; and Lilli, 4 months — joined 151 fellow members of the Church of the Messiah as they set sail for Jaffa, in the Ottoman Empire, some 5,000 miles away. Led by charismatic preacher George Jones Adams, these Down East farmers and tradesmen were chasing after a biblical prophecy: they aimed no less than to hasten the Second Coming by preparing the Holy Land for the return of the Jews. Just over a year later, the Wentworths would once again find themselves at sea, this time aboard the cruise ship Quaker City, which had detoured to Jaffa on a rescue mission. The family was the fourth wave of colonists to flee a land where they’d found little but suffering: Twenty-two of their loved ones, including the Wentworths’ youngest son, had perished. Their crops had failed. Their savings were gone. Adding to their humiliation was the harsh assessment penned by one of the tourists on board, Mark Twain. 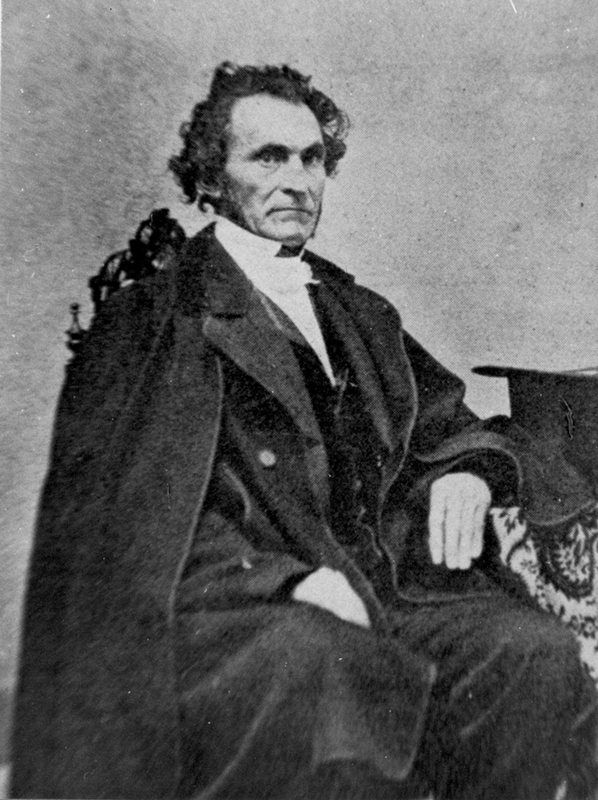 Preacher George Adams (below) convinced 157 people to follow him — houses and all — from Jonesport to the Holy Land in 1866. The restored clapboarded Maine Friendship House (below) still stands in what is now Tel Aviv (its stone nextdoor neighbor was added by German Templers). And so the colonists’ reputation was set as deluded zealots who, in Twain’s words, had been “shamefully humbugged” by a charlatan. The ridicule would reverberate well into the next century every time their story was told. The Reverend George J. Adams rolled into Addison and Jonesport in 1863, driving a horse that, one bystander later recalled, “was so gaunt its skeleton would scarcely cast a shadow.” Adams, then 50, had been preaching his way up the Maine coast, mesmerizing meetinghouse audiences with his conviction about the restoration of Israel and the coming of the Messiah. With his shock of wavy black hair, fierce dark eyes, and eagle’s beak of a nose, Adams presented an austere countenance, but at the podium, he transformed into an orator so fiery he’d have to loosen his necktie, then his collar, and finally his coat, all the while mopping sweat that streamed down his reddened face. His passion was infectious. 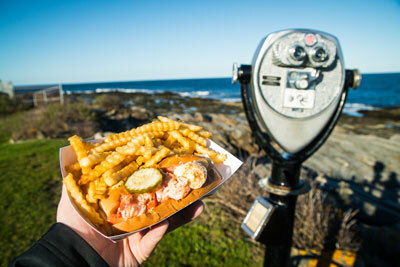 What he didn’t share with his rapt Maine audiences was his past. Over the course of 25 years, Adams had cut a tumultuous path through New England and the Midwest. As a young man, he’d worked as a tailor’s apprentice in Boston and spent his spare time with a theater company, where he acquired his flair for dramatics. After he attended an evangelical revival meeting, he thought he’d found his calling as a Methodist preacher, but he was soon swept up in the newer, rising Mormon movement. He traveled to Nauvoo, Illinois, where he so impressed Joseph Smith, the founder of the Church of Jesus Christ of Latter-day Saints, that he was sent on a recruitment mission to England. There, he filled meeting halls — more than 2,000 people attended his sermon in Liverpool alone — and deftly debated the sectarians and Protestant clergymen who came to oppose him. But every time Adams soared, he fell — hard. In Boston, a celebratory drink with the cast of Richard III sent him into a spiral of drunkenness that caught the attention of theater critics. In Nauvoo after Smith’s assassination in 1844, he reached for the bottle and the company of a young widow, prompting Smith’s successor, Brigham Young, to expel him. In Springfield, Massachusetts, where Adams had reinvented himself as the founder of the Church of the Messiah, he turned to booze when a newspaperman learned of his checkered history and hounded him in print. Adams was back on his game as he proselytized from York to Rockland to Surry to Sullivan, and he found a particularly warm reception in Addison and Jonesport, isolated fishing and shipbuilding communities whose main link to the outside world was the sea. He, his second wife, Lil, and their 10-year-old son, Clarence, settled down between the two, in the village of Indian River, and before long the Church of the Messiah claimed more followers than the Methodist and Baptist congregations combined. It no doubt helped recruitment that Adams’ first proselytes included two prominent and influential residents — L.L. Wass, the former deacon of the Baptist church, and Abraham McKenzie, the postmaster and justice of the peace. Perhaps McKenzie, at the age of 84, was assuaging his own guilt, for he had done a fair amount of swaying himself. He was Adams’ co-publisher of The Sword of Truth and the Harbinger of Peace, the Church of the Messiah’s newspaper and chief tool for sowing the seeds of Holy Land colonization. McKenzie even accompanied the preacher on a scouting trip to Jaffa in 1865, returning with glowing reports of a temperate climate in which fruit groves and flower gardens flourished and suggestions that real estate values would skyrocket following the Jews’ return. Even to people with a reputation for common sense and frugality, such a place would have sounded immensely appealing, says Maine state historian Earle Shettleworth Jr. During the Civil War, Maine’s traditional industries had withered in the absence of working men — Jonesport alone, with a population of just over 1,000, had sent 101 men and boys to fight with the Union Army. Many of the Maine soldiers who returned did so only to collect their families before turning around and leaving for new opportunities out West. That’s not to suggest the Adams mission didn’t raise eyebrows. It did. Many people around Jonesport distrusted the silver-tongued preacher, and skepticism came from as far away as Beirut, where American Presbyterian missionary Henry Harris Jessup predicted the Mainers’ failure in a letter to the New York Times. “They will find the Holy Land too hot for them in more senses than one,” he wrote, a reference to Jaffa’s reputation as a dangerous place for foreigners. Just a few years earlier, a family of missionaries had been brutally attacked by a Bedouin gang. One man was killed and two women were raped, an incident that the US government labeled the “Outrage at Jaffa.” In the eyes of their contemporaries, then, the Jonesport colonists had some radical ideas and a risky plan, but they weren’t cultists as they sometimes have been portrayed. And so, for the most part, people wished them well. On the brilliant blue-sky morning of August 11, 1866, a large crowd gathered on the Jonesport waterfront to help their friends load furniture, clothes, and farm implements onto the Nellie Chapin. On the boat’s lower deck, they used the parts of prefabricated houses — a brand-new product out of Whitneyville — to fashion cabins for the long voyage ahead. At 10 a.m., when the steam tug Delta arrived at the wharf, the passengers crowded the Nellie Chapin’s rails. Numbering 157, they ranged in age from 4 months to 66 years. Most were from Addison and Jonesport, but several came from other Maine towns, as well as Rochester, New Hampshire. A handful, including a music teacher and a spiritualist, were from Boston. At 10:30 a.m., the crew of the Nellie Chapin cast off lines, and the Delta slowly towed the ship from the wharf. Cheers rose as the passengers and onlookers waved their hats and handkerchiefs in farewell. The voyage took a relatively uneventful 42 days, but the pilgrims’ troubles began almost as soon as Jaffa was in sight. That’s when Adams learned that the land purchase he’d entrusted to US Vice Consul and money-changer Hermann Loewenthal had been rejected by the sultan of Turkey. The group had a choice: go home or camp on the beach until Loewenthal found other arrangements. They chose the beach — but first, they had to get there. Because of the shallow harbor, the Nellie Chapin was forced to anchor two miles offshore. Furnishings, clothing, farm equipment, house timbers, and, from George Adams’ cabin, a startling couple-dozen empty liquor bottles were unloaded onto rafts and floated to the beach under a blistering sun, a process that took days. In a postscript, however, Smith noted three more deaths. What he didn’t know was that just beyond the beach there was a cemetery for victims of the previous year’s cholera epidemic. The death toll — from exposure and dysentery caused by the unsanitary conditions and bad drinking water — would reach 10 by the first week of November, when the colonists were at last able to begin assembling their homes on a dusty hillside outside Jaffa’s walls, land Loewenthal had secured by pretending it was for a Turkish subject. For the next several weeks, McKenzie penned good-natured updates about farming, giving only the slightest hint of the Mainers’ deteriorating morale when he noted that Loewenthal had been suspended “but not turned out of office” by the US Consul after colonists complained that he’d overcharged them for land and goods. Back home, however, the newspapers were filling up with letters from disaffected colonists — Mayo Smith chief among them — who accused Adams of drunkenness, lying about their prospects for success in the Holy Land, and misusing their money. They’d given him their savings, they said, and now they had nothing, not even title to the land on which their houses stood, to show for it. Adams and his supporters countered their claims with glowing letters about the dark, rich soil, the abundance of available land, the vigorousness of their crops, and the friendly natives. But Bidwell and Sanford never met with Adams’ detractors, several of whom were in Jerusalem that day appealing to US Consul Victor Beauboucher for help. Their money was gone, and their crops had failed without irrigation under the scorching Middle East sun. They wanted to go home. At the end of April, 20 of the defectors were transported to Alexandria, Egypt, by the US Navy steamer Canandaigua. In late May, another 32 found passage to the U.S., courtesy of J. Augustus Johnson, the US consul general for Syria, who paid their way “because he could not bear to see American citizens begging of Arabs in their misery to avoid dying of starvation in the streets of Jaffa,” according to Charles Hale, Johnson’s counterpart in Egypt. Hale, who had seen the second group off, believed the remaining colonists were in a precarious state. “There is almost literally nothing to support much the greater part of the colony for the coming year,” he wrote in a letter supporting the colonists’ appeal for donations to pay their way home. At the end of July, another nine people, including Edwin McKenzie and his family, found passage home. Finally, in early October, the Quaker City collected the 44 “shamefully humbugged.” Back in the U.S., the colonists scattered; only a few families returned to Maine. Their houses in Jaffa were sold to the German Templers, a Protestant sect who also sought to hasten the Second Coming. Learning from the mistakes of Mainers, the Germans avoided farming and instead built hotels and industries. 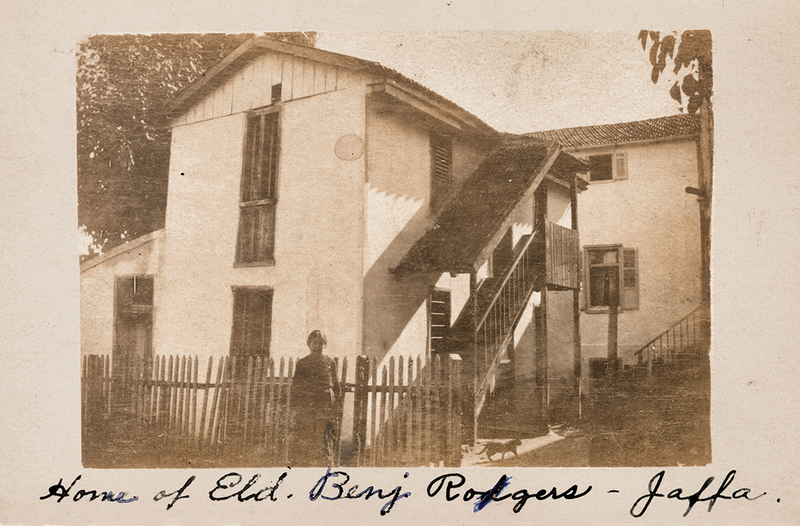 Their community thrived, until they were expelled after World War I. As for Adams, he would leave the land of his shattered dream in 1868 and was occasionally reported to be preaching in cities around the U.S. One Sunday in 1873, a former colonist recognized Adams’ passionate voice drifting out the window of a Philadelphia meeting hall, but when confronted, the preacher denied knowing him. 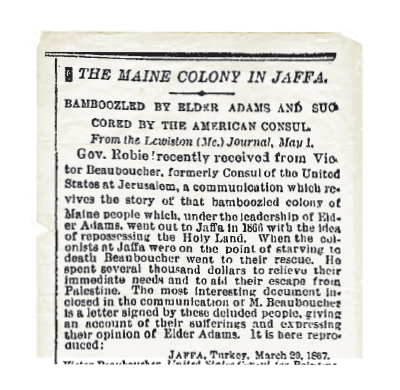 Mark Twain — and the numerous magazine and newspaper writers who would parrot him in the ensuing decades — got it wrong when he dismissed the Maine colony as a “fiasco,” Reed Holmes writes in The ForeRunners, his lively, detailed account of the Jaffa expedition and its magnetic leader. George Adams was not a charlatan but a well-intentioned, gifted spiritual leader who had no head for business and no tolerance for alcohol, Reed believes, and the Mainers who followed him were courageous and hardworking, if far too trusting and naïve. The Twain-influenced tales failed to mention the nine families — nearly 30 people — who stayed in Jaffa and fared well, most notably Blue Hill native Rolla Floyd, a pioneering Holy Land tour operator with a staff of boatmen, guides, and carriage drivers and a nearly legendary reputation for trustworthiness and efficiency. A summer resident of Jonesport, Reed has been fascinated with the Jaffa story ever since he met Theresa Rogers Kelley, a former colonist, in 1943. His research took him from Maine to Massachusetts, Washington, D.C., Salt Lake City, Nauvoo, and Israel, and he had just finished his book when he and his wife, Jean, first laid eyes on the Mark Wentworth house in 1981. 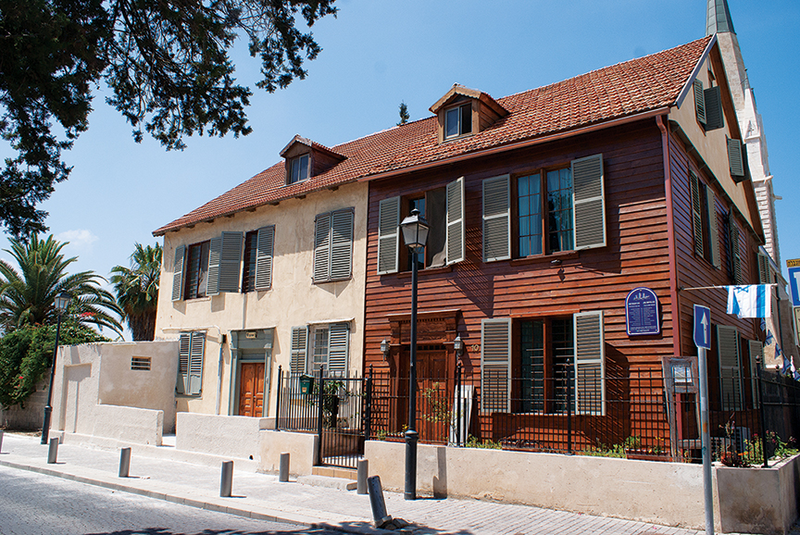 At the time, it was one of a handful of surviving 19th-century Maine homes in a depressed and shabby neighborhood of Tel Aviv, the modern Jewish city that has grown up around Jaffa. With Reed’s interest in the houses and Jean’s experience as a construction supervisor restoring historic New England homes, the couple determined that day to save the handful of abandoned and crumbling houses from the bulldozer. The restorations have had a ripple effect: the once shabby streets outside the walls of Jaffa are now Tel Aviv’s hottest neighborhood, called the American Colony, where developers build luxury apartments with long porches and shuttered doors and windows — a nod to their Maine neighbors of old. Read more from Virginia M. Wright!